Why do we have to do dance? Why do we have to dance if we dont like it? Comments for Why do we have to do dance? Do you mean dance is a mandatory subject at your school or something likewise? Maybe the reason is the same one for which you have to study English, math or any other subjects. Arts, and dance among them, are essential activities for human beings. This is something that you will understand in time. However, it is rare that you don't like dancing. You might be confusing your feelings with something else. Maybe you are a bit shy, you don't like the teacher, the type of dance you are practicing does not fit your personality or matters like those. Saying that you don't like dance is like saying that you don't like music. It is really rare that a human being does not like them. You might just need to come across a dancing experience that fits your personality, at the right time and place. If that happens, you'll see that you adore dancing, just like soooo many people. Still, that question you are asking me needs to be asked to the person or authority that is making you dance. I'm sure they will have their own reasons. What is the purpose of contemporary dance ? 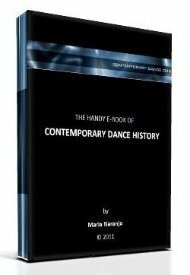 How does contemporary dance help me ? I hope you discover the joy of dance soon.